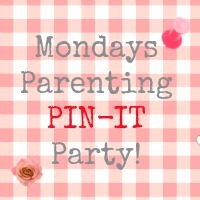 Welcome back for another Monday day of fun and our regular Monday slot, the Parenting Pin It Party. This time the lovely Bug, Bird and Bee hosting the linky, so nip over and see her if you have some time to spare. With Spring just around the corner, and didn’t we have a lovely weekend (apologies to those who had snow!) maybe you have some great spring-like parenting posts to share. Last, but not least, please add the badge for the host, which we have provided for you below. It is a lot of work to keep up with this, so be wonderful if you can show your appreciation by adding in the badge.